They don’t understand the need to make lifestyle changes early on to keep what they have.By age 30, youth is kissing you goodbye with this unspoken message: “Hey babe, I’m leaving. I’ve given you 30 good years and now it’s up to you to figure out how to keep what I’ve given you.” At age 30 you are still; looking good, feeling great and think the “feel good” feeling and looking good will last forever. If you are aware of how you are changing at age 30 you can exert awesome power over your aging process. Establishing an exercise regimen early in life and sticking to it will keep you rockin’ and rollin’ as long as you live. Waiting until you are 60 to try to get into shape doesn’t usually work. 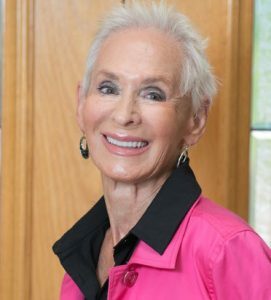 If you have a muffin top waist as you head into your sixties, odds are good that you will have it forever because as the body ages it resists being pushed around. At age 60 the urge to sit is more compelling than the urge to move. The seductive nature of youth. If you can internalize that youth is a short term loan, you are way ahead of the aging game. Youth is the ultimate con artist. You look in the mirror every day and youth stares back at you seemingly unchanged from day to day. You can’t help but think “I’m doing great” and it is exactly at this point that women start to lose what they have. They are simply being conned by the deceptive and seductive nature of youth. The key is to understand that “today” does not equate with “forever”. They unwittingly adopt or accept “senior” ideas and behaviors as early as midlife because they don’t realize that midlife now happens much later. The deadly disease called “retirement” blossomed in the 1930s when people didn’t live much longer than age 65. However, the lifespan has increased by 30 years in the past century which means that age 40 is no longer middle age, but we still believe and behave as if it is. Retirement is not just an act that you decide to make; it’s also a decline oriented mindset and lifestyle. You CAN retire but you don’t have to follow the “senior script” as a mindset and lifestyle. It’s what you do while you are in retirement that matters. We have forty year old women claiming to have “senior moments” and declaring “I must be getting old” at the slightest ache or pain. We have fifty year olds moving into “seniors only” communities where they spend the rest of their lives playing and decaying almost exclusively with old people, adopting their old attitudes, beliefs and behaviors. These mistakes are easy to avoid only when you have the right information and are aware they exist and you have the chutzpah to do what it takes to dodge them. Barbara I love your spirit and determination to keep going. You have learned the secret of being young for as long as life lasts! You go girl! 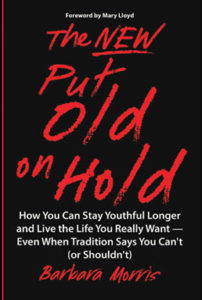 Absolutely agree with you that “old” is in our heads, Our bodies might not have youthful vigor, but “old” is an attitude that we must avoid applying to ourselves, even if others do so. At age 80, I still work part-time in schools and clinics as a Spanish interpreter. I still travel yearly to Honduras, my former Peace Corps country, as a medical brigade volunteer. Some people have advised me to stop now, but I will do so only when I am good and ready! So, thanks, Barbara, for inspiring us. Life isn’t over until it’s over!